It’s too early to say where exactly the Underworld franchise is heading next, but fans of the series should rest assured a new Underworld movie is likely on the way. Hit the jump to revisit the first Underworld trailer. In the Underworld, Vampires are a secret clan of modern aristocratic sophisticates whose mortal enemies are the Lycans (werewolves), a shrewd gang of street thugs who prowl the city’s underbelly. No one knows the origin of their bitter blood feud, but the balance of power between them turns even bloodier when a beautiful young Vampire warrior and a newly-turned Lycan with a mysterious past fall in love. 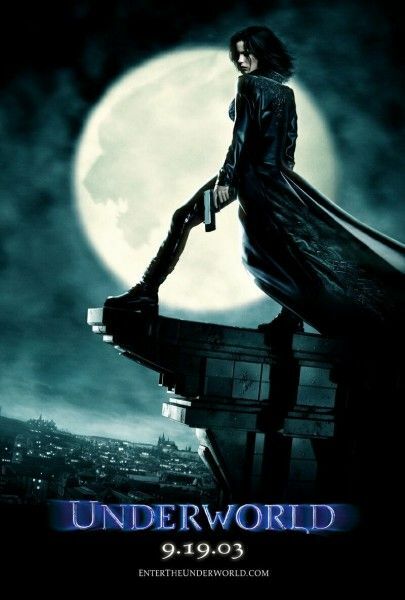 Kate Beckinsale and Scott Speedman star in this modern-day, action-packed tale of ruthless intrigue and forbidden passion all set against the dazzling backdrop of a timeless, Gothic metropolis.